Location map of Pantheon, Rome. Click image for a larger, interactive view. Aerial view of Pantheon, Rome. Click image for a larger, interactive view. Matilda Webb. 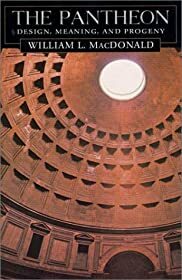 The Churches and Catacombs of Early Christian Rome: A Comprehensive Guide. Brighton: Sussex Academic Press, , pp. 149-51. MacDonald, William L. and John Pinto (foreword). The Pantheon: Design, Meaning, and Progeny. Harvard University Press, 2002. Exterior view from east. Pantheon, Rome, Italy. Credit: David Joyal. Interior view and entrance door of the Pantheon (125 CE), Rome, Italy. Credit: David Joyal. Interior of the portico. Pantheon (125 CE), Rome, Italy. Credit: Holly Hayes. Detail of the coffered concrete dome of the Pantheon (125 CE), Rome, Italy. Credit: Holly Hayes. Detail of interior wall, with coffered dome and Christian apse. Pantheon (125 CE), Rome, Italy. Credit: Holly Hayes. Exterior view of the Pantheon from the east side. Rome, Italy. Credit: Holly Hayes.